We will be having a best picture contest! 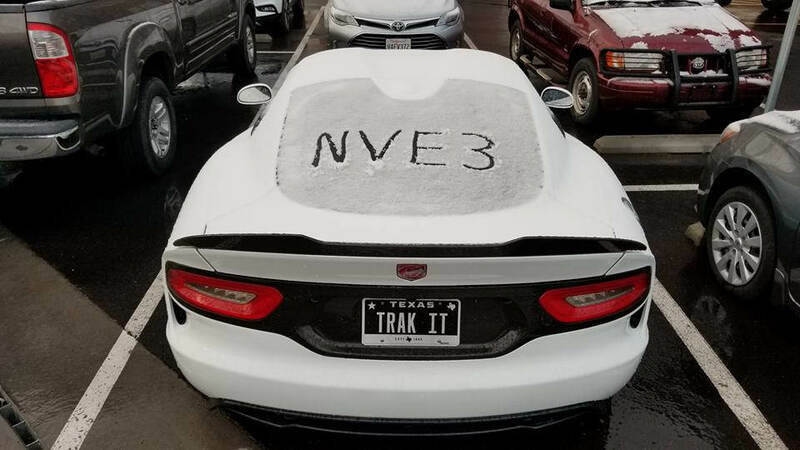 Feel free to share your picture on the NVE3 club forums, social media, or email us at admin@driveviper.com. The contest includes any type of photo, whether it's one of beauty, humor, creativity, or whatever! We're looking for the most intriguing photo that sums up our gathering. Our panel of judges, consisting of officers and event volunteers, will judge the submissions. The winner receives a special (and massive) 5 foot wide grommeted event banner! Hi guys, we've been receiving some great pix from folks. We'll provide some more time to get the photos as it seems they're coming in faster now given people are getting home. There are those on after-trips so they'll need some more time to get back. We plan on making a final decision on the winning picture by the end of the month. Keep them coming. You're free to post them on this forum, send via social media (facebook/insta) or email our HQ (admin@driveviper.com). Annnndddd . . . . drum roll . . . .our first place winner is Jonas Apuya! Last edited by Herrsss; 06-07-2018 at 11:03 AM. We found several really cool pictures so decided to open it up to more than 3 more winners! Daniel Nguyen's brother Sony took our 2nd place winner! Last edited by Herrsss; 06-03-2018 at 02:31 PM. So what's a little snow along the way to NVE3? Tony Whatley's picture took 3rd place! 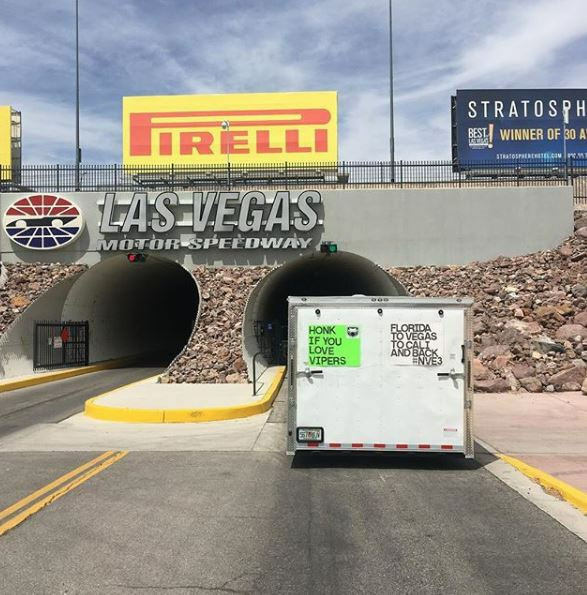 And finally Wes Angelotti had some fun with his trailer from Florida to Nevada to California and back! His pic took 4th place! Last edited by Herrsss; 06-04-2018 at 10:38 AM. Annnndddd . . . . drum roll . . . .our first place winner is Zac Karo! This photo was taken by Jonas Apuya, not Zak Caro. I thought the photo contest submissions had to be your own photographs? Now that's really weird because I confirmed with Zac Friday that it was his picture . . . let me find out what is going on. The pics need to be your own and not somebody else's but I did miss the water mark. P.S. please disregard if you got the email more than once - I continue to have Outlook issues! "If you think this thing is pleasant to drive on the street, then you'll probably think a Trump presidency is pleasant as well"
Simple confusion as to who took the picture versus who the subject was. Our error in not making the rules clear - won't happen again. All great PICS, those Red Rocks are hard to beat. original post does mention "your picture" I would think in a photo contest that the pictures you enter are your own not the fact that you're in the picture. If merely being in the picture is the criteria to win, then what about the other 3 vipers in the background? What do they win? Photographers win photo contests not the subject. Last edited by ForTehNguyen; 06-07-2018 at 10:15 AM. The subject car owner did NOT win anything. The photographer (Jonas Apuya) DID win the banner and it's in the mail to his home. There were only 3 official submissions for the contest so we surfed social media accounts for options. Generally people post their own pictures on their accounts and when I found that one on the subject's account I thought it was his. I spoke to him about it and he verified but we were talking about 2 different things - simple mistake but I corrected it. Beth, Justin Fujita, one of the guys here from SoCal, sent me this picture after NVE3. I know the contest is long over but I thought he had a great shot of my viper!! 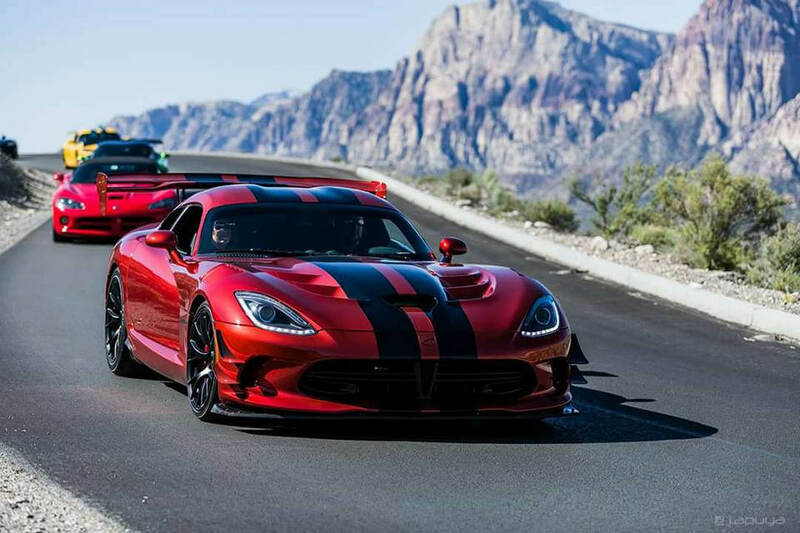 Wow that is a great pic of your Viper!